The last chapter demonstrated how any transaction will have two effects on a balance sheet. You should now be able to identify which assets and/or sources of finance are affected by different transactions. 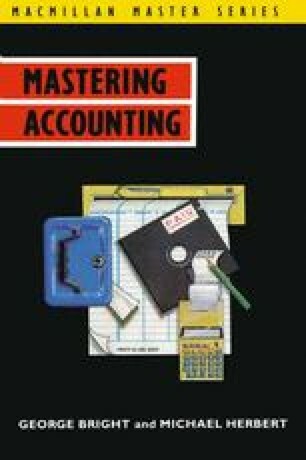 In this chapter we will introduce a more efficient way of recording transactions than redrafting a balance sheet after each one. This will be done by means of ledger accounts. You will learn the principles of double entry book-keeping which will enable you to keep a simple set of ledger accounts.